In 2018, we served 13.6 million people in 104 countries. Since 2000, MAP has served nearly 190 million people around the world. With the help of our supporters like you, we are able to provide more than 43 million treatments annually to people in need. But in 93 countries where there is no drug store on every corner and very few pharmacies, the doctors and their patients there rely on MAP International for life-changing medicines. MAP International conducts its work by coming alongside partner organizations to provide life-changing medicine and health supplies. The more than 50 partners MAP works with to reach 13.6 million people each year include highly regarded organizations such as American Leprosy Missions, CARE, Carter Center, Christian Relief Services, Convoy of Hope, Effect:Hope, Food For The Poor, Hope For Haiti, International Medical Corps, International Relief Teams, Medical Teams International, Operation Blessing, TearFund, and UNICEF. In times of disaster MAP provides critical medical relief and aid to families affected by the tragedy. 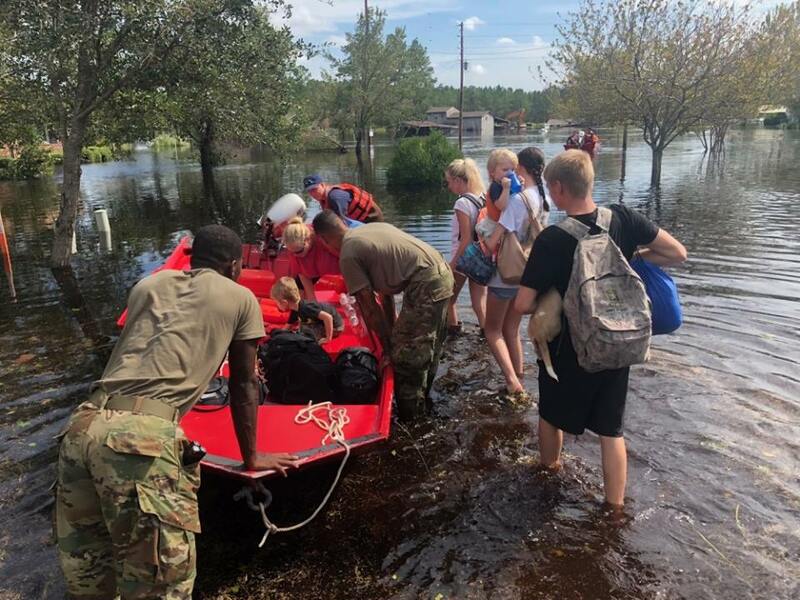 We have been responding to disasters worldwide since 1963 through our global and domestic partnerships. Whether our team is on the ground or working through trusted partners, we focus on helping communities save lives and restore health. 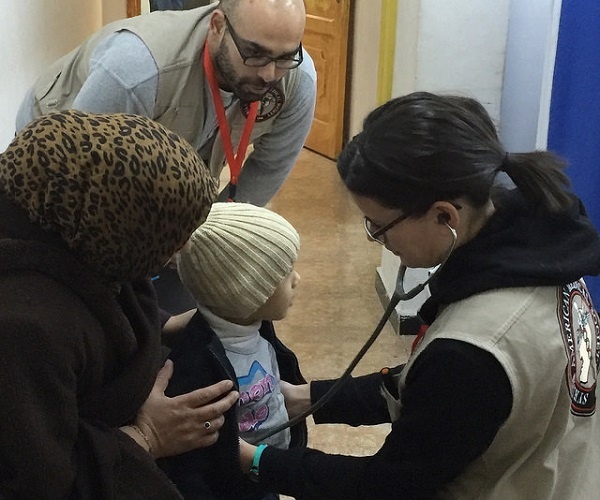 The support of donors like you makes it possible for us to purchase, prepare and transport the urgently needed medicines and other supplies as soon as they are needed. MAP International’s partnership with The Carter Center extends over two decades. In the early 2000s, MAP’s team in Cote d’Ivoire assisted the Carter Center with the eradication of Guinea Worm from the country. Today, MAP works with the Carter Center to provide neuropsychiatric medicines and supplies to the Liberian Ministry of Health. A decade of civil conflict and the outbreak of Ebola have created a mental health crisis in Liberia that has been intensified by misconceptions, stigma, and the resulting discrimination surrounding mental illnesses. These medications are distributed to hospitals, health centers, and clinics (public and private) throughout Liberia, where mental health clinicians, trained by the Carter Center, work to help people recover. “Access to neuropsychiatric medication is a step in the efforts to bolster mental wellness in Liberians," said Carter Center CEO Ambassador Mary Ann Peters. "We are grateful that this partnership with MAP International complements our work with the Liberian Ministry of Health to reduce suffering and increase the quality of life for those living with mental illnesses in Liberia,” Ambassador Peters said. Working with the Liberian government and partners, The Carter Center has helped to create a corps of over 230 locally-trained and credentialed mental health clinicians now serving all 15 counties in the country. “This represents a critical extension of our mission,” said MAP International President Steve Stirling. “We work best in partnership with others. The programs being carried out by the Ministry and the Carter Center will have a much greater impact for the people of Liberia because of MAP’s participation,” Mr. Stirling said. 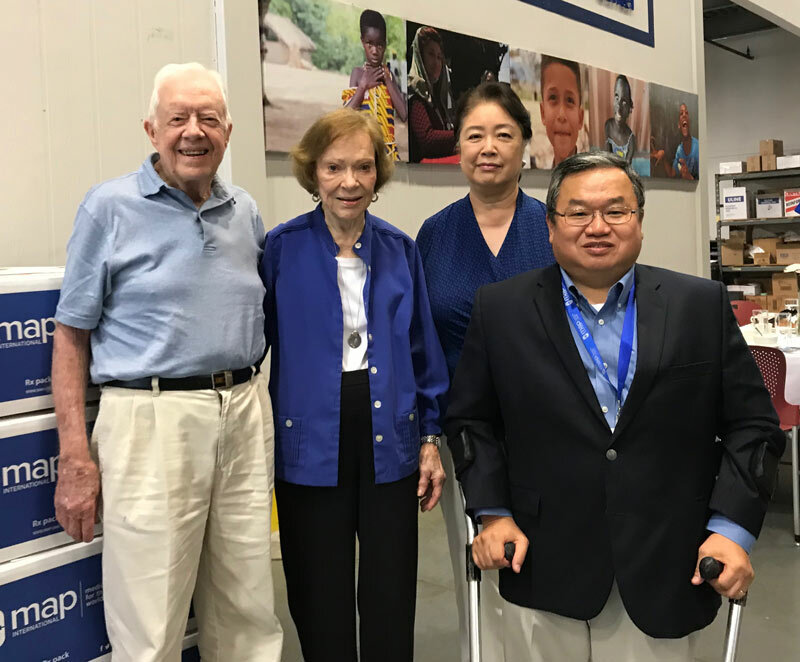 In 2018, MAP International presented President & Mrs. Carter the Bill Foege Global Health Award for their work in eradicating disease and promoting global health equity. 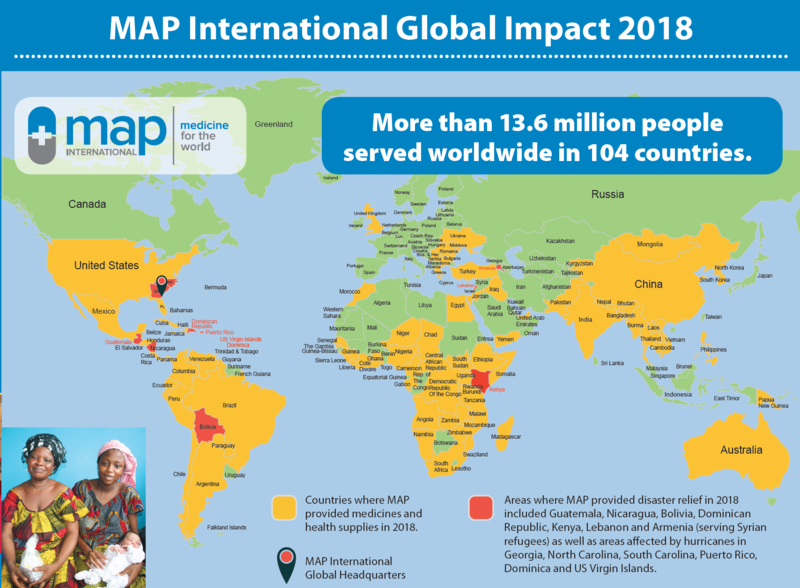 MAP International annually presents the Bill Foege Global Health Awards to recognize people and organizations whose contributions to the progress of global health measure substantially. In addition to the Carter's, previous Foege Award winners include the Bill & Melinda Gates Foundation and Rotary International. Dr. Bill Foege is a folk hero in the global health community. He’s known as the man most responsible for eradicating smallpox. The list of organizations he has led represent leading global health innovators of the modern era. The list includes the Centers for Disease Control and Prevention, the Carter Center, and the Task Force for Global Health, the second largest health-related charity in the world. He currently serves as a Senior Fellow for Global Health at the Bill and Melinda Gates Foundation. More than two billion people, about half of the world’s population, lack regular access to quality medicines and health supplies. Pharmacies, where they exist, often have bare shelves. Doctors in many countries can diagnose patients but have no medicine to treat them. Sometimes countries simply lack the financial resources to import the needed quantities of medicines for those in need. Other times, they lack the appropriate storage to keep medicines at the correct temperatures or to safeguard them from tampering. Magdalena lives in rural Haiti, far away from a clinic. So she suffered as the inflammation spread and her pain became almost unbearable. “It was very painful,” she says, “but I was also ashamed because I looked so ugly. No one wanted to look at me.